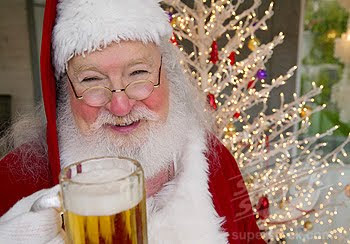 Holiday beers, also known as Winter Warmers, are a tradition that stretch back over two Millenia, with the ancients making highly intoxicating brews to celebrate winter festivals. As far back as 217 BC when the Roman's celebrated Saturnalia, an Ancient Roman festival held in honour of Saturn. Beer makers have been saving their finest ingredients for these special winter occasions. 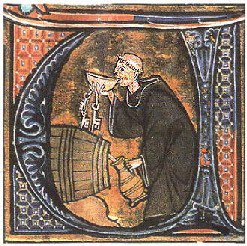 With the advent of the Catholic church, this brewmaking evolved into what many considered the main staple of the winter solstice and other holiday celebrations. When medieval monasteries from all over Europe and the Middle East would combined best their fruits, spices and vegetables to produce soul-warming styles for the occasions. If you've never given Holiday beers a shot, your likely missing out on a big part of European and Western Asian culinary culture. Now is the best time to get out and experience them. Most Liquor stores should have a few labels in by now. But the state's best and most diverse selection is at the Bayou in downtown SLC. We've provided a new poll to find out which basic type of winter warmer makes your tongue the the happiest. 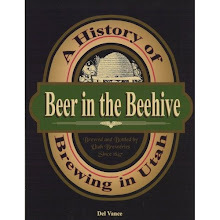 Yup that's right, Utah may be seeing it's 16th brewery pop up sometime in 2012. 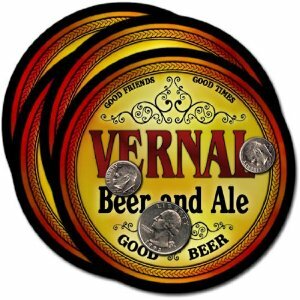 The Vernal Brewing Company is the brainchild of Vernal entrepreneurs Bill Zimmerman, his daughter Ginger and son-in-law Eric Bowden. The whole idea came about after the Bowdens opened up a brand new home brew shop called The Bucket in Vernal, Utah last September. 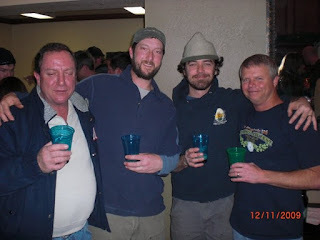 All three are avid home brewers who had always dreamed of starting their own brewery. The Bucket located at 510 East Main Street in Vernal, is the beginning of a three part plan to bring locally made craft beers to the Uintah Basin. The second part is to construct a 5,000-square-foot brewery (with a tap room) on the property directly adjacent to the Home Brew shop that will be large enough for 20 or 30 visitors. The third part will include a kitchen and garden area for the brewpub. They will brew four flagship beers available year-round along with specialty beers only available seasonally. Architectural plans have been drawn up already and groundbreaking scheduled for sometime this spring. Both the city and county recently passed ordinances for a brewery. 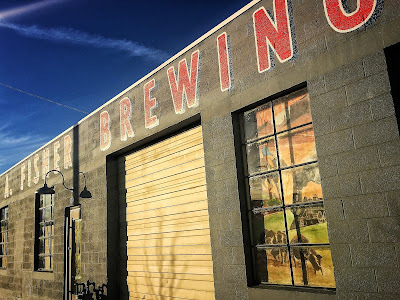 Local ordinances for a brewery were written specifically for their venture, because none previously existed in Vernal or Uintah County. The best of luck to Zimmerman and the Bowdens on getting Utah's newest brewery up and running! And if that's not enough, I have more great news for you. 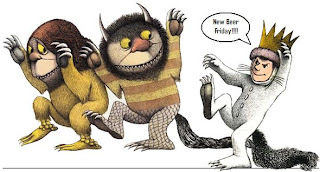 Today is New beer Beer Friday as well and we have some new beers to tell you about. First up is North Coast Brewing's Grand Cru. This a Belgian pale ale aged in bourbon barrels with agave nectar. The nose is faint with fruity notes, booze and yeast. The taste starts with estery apples, oranges and faint hint of pear. Hint's of Bourbon come next, then a blast of boozy agave in the finish. It's a big full bodied beer. Very nice. 12.90% ABV. @Beerhive. Next is Tenaya Creek's Monsoon Imperial IPA. The nose is piney and floral with a touch of citrus. The taste starts with citrus and flowery hops. Sweet caramel and candied fruits come next. The finish is crisp with notes of green tea and a slight alcohol burn. Tasty! 8.5% ABV. @Beerhive. Also, the Bayou's remaining seasonals have arrived. 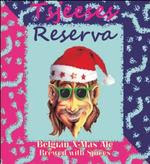 Struise Tsjeeses Reserva, Mikkeller Santa's Helper, Criminally Bad Elf and Insanely Bad Elf. All are limited in quantity... you know what you need to do. We have some pairing options for you today. If your like me, there are some foods that end up on your plate that you like more than others. 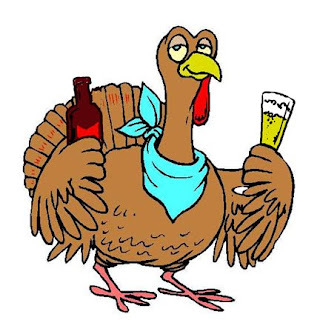 Here are some great locally made beers that go well with nearly everything on your traditional Thanksgiving meal. We particularly loved Hopper's Bière de Garde called the First SnowAle, which has a nutty caramel flavor that This beer is smooth but a little funky, with hints of sweet fermented apple. It's a little musky and toasty—very nice with food. Pairs well with sweet potatoes along with the crisp caramelized skin from the turkey. A slightly less funky option for Thanksgiving pairing is a good American amber. We liked how Squatters' Big Cottonwood Amber Ale complemented the earthy flavors in the meal, particularly mushrooms and the stuffing. Another surprise was Epic's Brainless on Cherries. It's subtle dry cheery sweetness sweetness goes well with the turkey and the stuffing and it is a great substitute for cranberry sauce. Uinta's Barley Wine also deserves a place at table. This local institution is an intense blend of herbal, citrus and piney flavors with lingering toasted malt. The complex flavors are a great companion for your turkey and stuffing as well. And finally, as dessert beers go, your favorite pumpkin ale with a slice of plain cheesecake is a great combo. Your favorite stout & cherry pie, as well as a nice roasty porter with your pumpkin pie. RedRock's Saison with apple pie is heaven as well. Please share your holiday pairing ideas and have a great Thanksgiving Day weekend. The Beer Yogi, Kevin Templin and the RedRock Crew have simply outdone themselves on their newest release, Secale (Se*ca"le). This new creation is a 100% local collaboration between RedRock and the High West distillery. Secale, latin for rye is hybrid Dopple Bock/Rye Beer aged in High West Rye whiskey barrels for over three months. The combination of complementary styles and and wood character creates a beer full of personality and depth. Pours a dark ruby color with a moderate two fingers of off-white head. The nose has a dry roasted malt aroma along with a light rye spiciness. It's rounded out with a mild caramel malt and vanilla aroma. The taste starts with Caramel malts and toffee. Chocolate covered raisins come next come next with a dry rye spiciness. Hints of vanilla and whiskey come next in the end, as well as a subdued hop bitterness that balances the malty sweetness in the finish. The body is full and the whiskey notes become a bit more pronounced as it warms. The 8.5% abv is well hidden but sneaks up you quickly. This one damn fine lager. It has an outstanding aroma with a great taste and smoothness. It is a good traditional representation of the Bavarian style with a nice blend of rye malt - that is there, but not overly done - Traditional, yet unique. Highly recommended! In 500ml bottles. Available at starting today at RedRock locations. As always, call first. Looks like the weekend weather is gunna be crap. So we've found a nice diverse selection to help you trudge through it. Shades of Pale: 4 Play Porter - Just released. 4-Play Porter is a tribute to aviators across the ages for their courage and sense of adventure, especially friend of the brewery Marilyn, an acrobatic pilot, that flies a plane nick named 4-Play. It is a traditional English style porter right down to the top fermenting yeast. Brewed with high quality brown malts which gives this ale a light caramel, black liquorish, peat flavor porter fans love.. @412 Bistro, Park City. Bonneville Research, a private firm that helps state and city agencies be more fiscally sound was hired by the state to come up with a business plan to find out how to save liquor stores from further closures and to make more money. They will present their $100,000, 83-page report to a legislative committee today to the Business and Labor Interim Commission. Bonneville proposes to expand the sale of alcohol in grocery stores. One of sections titled "Immediate Recommended Actions" lists one action for a test Package Agency program using grocery stores. In all likelihood, nothing. Senator Valentine, the chairman of the Business and Labor Interim Commission has made his position very clear that access to alcoholic beverages is something that must be a difficult as humanly possible and hidden from everyone at any cost. This part of the meeting will likely be white noise in his ears because his mind is clearly already made up. When asked, Sen. John Valentine, told FOX 13 news he is curious and wants answers. Republican Rep. Ryan Wilcox had proposed the state get out of the business of selling alcohol, but keep the state's liquor control status. Bonneville Research's plan also includes consolidating stores; re-opening the Cottonwood Heights liquor store; hiring a new DABC director with significant retail experience. I'll be at that meeting this morning and will hopfully have some info on it later. So what do you think, Is this all just minutia or a real possibility? Over 1800 of some of the finest beers and ciders were sampled at The Ninth Annual Festival of Wood and Barrel Aged Beer in Chicago last Saturday. The country's first and largest beer festival dedicated to the art of wood and barrel aging. 62 different breweries across 22 States participated. 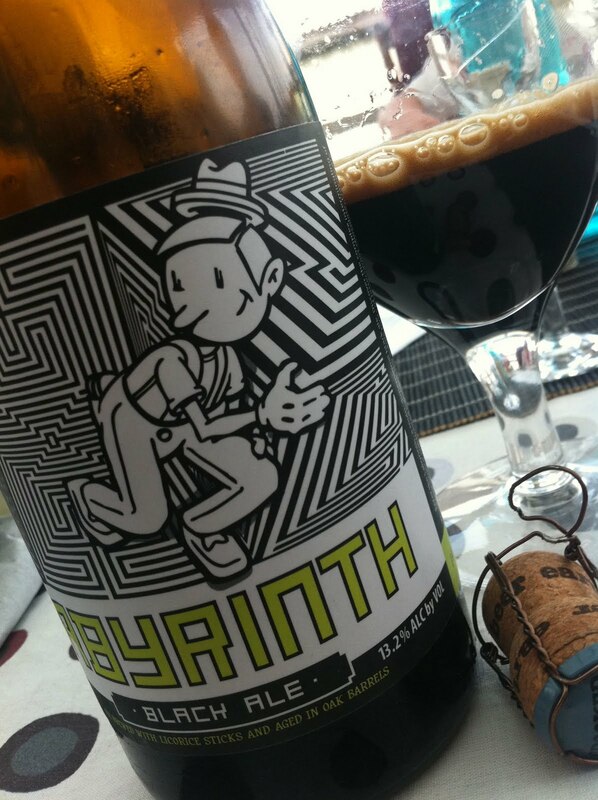 30 awards were handed out, and no surprise Uinta Brewing Company's Labyrinth Black Ale walked away with a Sliver Medal in the Strong Porter/Stout category. I know many of you have already had Labyrinth but in lieu of it's recent praise on the world stage I felt it was due another mention. Labyrinth pours black with a two finger brown head that left good lacing. The nose is of chocolate, coffee, roasted malts, molasses and a touch of vanilla. The flavor starts rich, big and slightly sweet with dark chocolate, caramel, dark roasted malts next comes black molasses, coffee, oak and some notes of vanilla bourbon with a sticky full body. Finishes slightly dry and warm. Labyrinth is in wide distribution around the state and this is the perfect time of year to take in big, bold beers such as this. 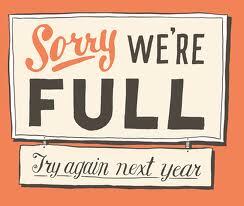 Thank you all for your RSVP's to Holiday Tasting. We reached capacity in record time. Unfortunately we are out of room and the invites are now closed. If you've RSVP'd and find you can't make at some point, please let us know so someone can take your spot. Again I apologize, the venue just won't allow more people than we already have. If there's one thing to be said about Europeans, they don't mess around when it comes to beers that celebrate the holidays. Every region of Europe has it's own style and flare. If you'd like to get to know the Holidays "Euro Style" I suggest you head over to the Bayou, ASAP and partake of the most diverse holiday beer selection in the state. Some are new, some are returning favorites. All are incredible and in limited supply. Fantome Noël - A very dark and entirely unique holiday seasonal beer. Reportedly spiced with honey, caramel, coriander, black pepper, and other secret ingredients. 10.0% abv. La Choulette de Noël - Stronger, fuller flavored version of the classic bière de garde. The New York Times anointed this beer the ultimate bière de garde, and rightly so. It’s a rich, rare treat from one of France’s old guard craft breweries. 7.0% abv. Reindeer Droppings - Falling from the sky like little bombs of flavor come the Reindeer Droppings! Each one is sweet like California raisins, but bitter and pungent like a freshly peeled grapefruit, lip-smackingly tasty...then 'pow!' it's gone. 6.0% abv. Ølfabrikken Kloster Jul - Ølfabrikken (The Beer Factory) is a small experimental brewery on the vibrant Danish beer scene. Kloster Jul is a hoppy Christmas Ale brewed with large quantities of American Chinook hops and wonderfully spiced with coriander and cinnamon. 8.0% abv. Mikkeller From/To - The dedicated guys at Mikkeller have simply outdone themselves with this holiday version of a Baltic Porter. Earthy and hoppy with hits of coffee, dark fruit and a full roastiness. A great example of the new hoppy Belgian artisan beer movement. 8.0% abv. Pickled Santa - Amber, spiced Christmas Ale. 6.0% abv. Lump of Coal - Liquid consolation for a depressing holiday. Considering how bad you have been, this bittersweet chocolate stout is more than you deserve. 8.0% abv. Reindeer's Revolt - A golden amber, hop-accented, English “winter warmer” brewed without spices. 6.0% abv. And speaking of Europe. 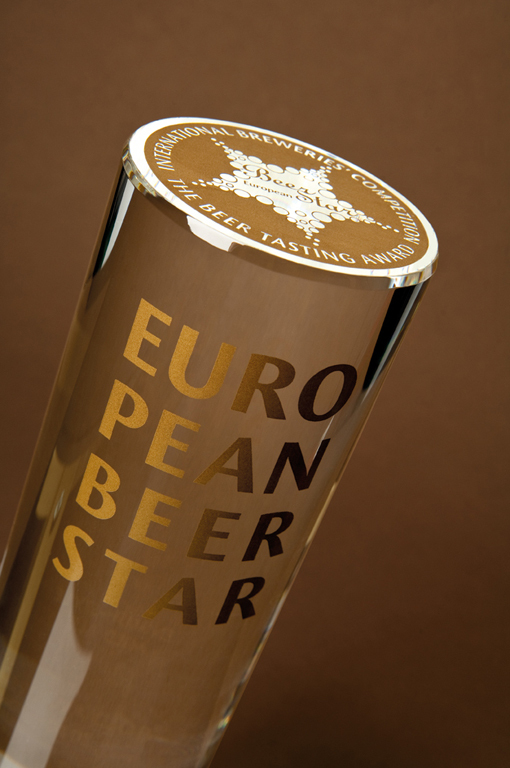 A couple of Utah breweries shlepped their suds all the way to Munich, Germany for the European Beer Star Awards and came away with a couple of trophies. 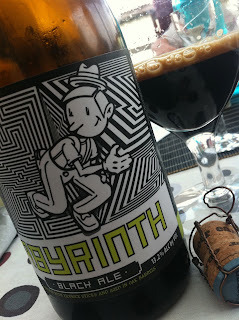 In the Ultra Strong Beer category, the Silver went to Uinta Brewing Company's Labyrinth Black Ale. No surprise there, eh? And in the Imperial India Pale Ale category Epic's Hopulent IPA came away with a Bronze. 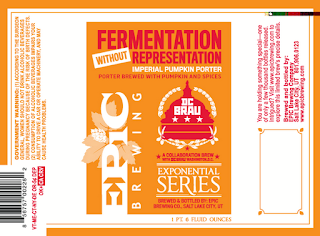 That's two bronzes for two of Epic's IPAs in two months. Nicely done Epic & Uinta! Please note that not all of the above mentioned beers are available today. Some will be released closer to the end of November.... Can't have all the damn Holiday beer gone before the holidays even get here! right? Also, a lot of RSVP's were received yesterday for the Holiday Tasting. Don't put it off, this party will defiantly fill up sooner than expected. What started as a good excuse to get together for a little holiday cheer has blossomed into one of the best lil' beer festivals in the west. If you enjoy the great diversity that craft beer has to offer, I invite you to participate in the 3rd Annual Utah Beer Holiday Tasting on Saturday December 10th. The concept is simple. Bring a nice beer, cider or mead. It can be in a bottle, can, jug, keg or jeroboam as long as it's "special" to you and you think it would be nice to share. It doesn't have to be rare - expensive or outrageous. Just something that you enjoy. Homebrew is absolutely welcome! If you've got something that you'd like to share please bring it. Give us a heads up if it's kegged so we can make sure we have the appropriate amount of room. The Tasting will not be held at the Irving Schoolhouse as it has been in previous years. It will be held at a private home and it's location will be given out only to those who RSVP. We will have to put a cap on the number of people attending due to the size of the venue. So get your RSVP in ASAP. 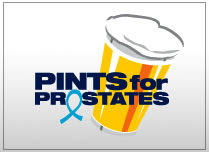 We'd ask that this be limited to "Beer People". 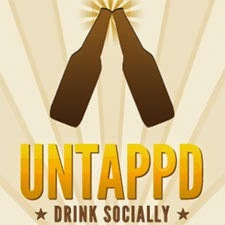 People who know beer or are interested in learning more about craft beer. Please feel free to bring a guest if you don't want to come solo. So here's what we have. What: 1-2 bottle for tasting - tasters glass or stemware - some Beer & snacks provided. Don't hesitate to RSVP or ask questions! 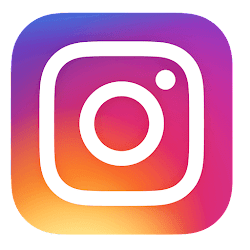 Bill and Steve go into Squatters to talk with former Brewmaster Jen Talley and Head Brewer Jason Stock about sour beer and the delights of being a big brewery making small craft beers. They also go to The Beerhive and tell you which local beers you should be drinking. "New beer friday just got newier and fridayier. Deschutes Stoic and Boulevard White IPA just came in (collaboration). " The Boulevard White IPA was listed as a top 25 beer for the year in Draft Magazine. Besides Epic's Fermentation Without Representation, which was released yesterday there is one more new beer available for you today. Lagunitas A Little Sumpin' Wild has arrived at the Bayou. I really enjoyed the sumpin' sumpin' ale over this past summer so was excited to try A Little Sumpin' Wild. The nose is floral with peach, plum, and some farmhouse aromas. The taste starts with sweetness at first and hits tongue with citrus, peach, yeasts, malts and alcohol. Large spice backbone, with grassy yeast. The finish is bread-like and faintly sour. Overall - Pretty tasty and flavorful. It seems to want to fit in the saison family to me. 8.85% ABV. A little more than a month ago DC Brau Brewing's head brewer Jeff Hancock came to Salt Lake to brew a special collaboration beer with Epic's head brewer Kevin Crompton called Fermentation Without Representation. The same beer was produced a week later back in D.C. Today this collaboration from two distant breweries, a pumpkin porter will be released at a special release party tonight at Gracie's in downtown SLC. And your invited! I think you'll really like this one. Tastes of bittersweet chocolate, caramel, ginger bread, and roasty grains. Vanilla pops in next with allspice, cinnamon rounding out the back end. Medium bodied with creamy carbonation. After tonight's release look for Fermentation Without Representation at Epic Brewing and wherever their Exponential Series is sold. Time to Get Your Pucker On! 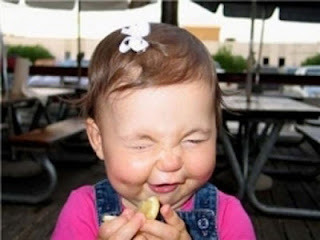 Are you a fan of sour beers? If you are your definitely in the minority of beer drinkers, but don't worry - our numbers are growing and the Bayou's own Mark Alston is on a crusade to educate us all on the finer points of some of the most un-beer-like-beers you've ever had. This Sunday November 6th at 5:00 pm. 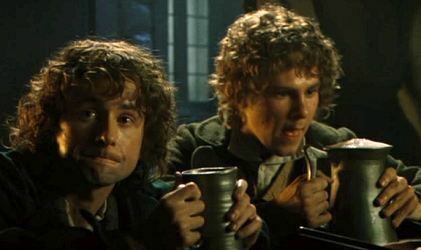 The Bayou will be hosting their first ever mini-beer festival, the theme? Sour and Wild Ales. For $25 you will get a wrist band and a 20 beer punch card that will enable you to sample all the festival beers. You must have both the wrist band and the punch card to be served. No sharing with non-participants!!! Anyone found sharing beer with people without a wrist band will have their wrist band removed and they will be barred from continued participation. As this event is all about sampling high quality beers in a responsible manner, all samples will be served in 2 ounce pours. Quantities of some of these beers are quite limited so there is no guarantee they'll lasting throughout the entire fest. 9:30 pm is the cut off time so don't be late. The Bayou's menu is also available at it's normal cost. Seating and tables will be available only for those planning on eating. 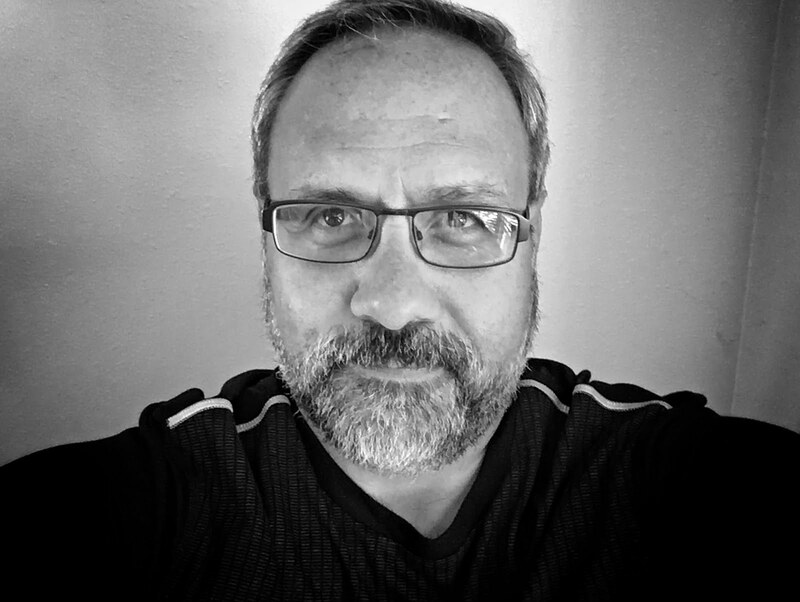 If sour and wild ales are not your thing, Mark plans on having other mini beer festivals on a semi-regular basis with varying themes. Jolly Pumpkin Luciernaga "The Firefly"
If you live outside of Utah your most likely to equate Mo'Town with the city of Detroit. If you've been in Utah long enough you may have heard it as a reference to Salt Lake City. In our case the "Mo" is short for Mormon. Enough of local pop culture. This returning champion from Squatters is an American style brown ale from their Small Batch Series. It's subtle with Chocolate, caramel and roasted malts balanced with big American citrus hops and have an ABV of 5.8%. $5 per bomber out of Squatters' bottle shop and $9.99 at the table.